Right so, since I've been starting to use Instagram Live and Stories, there's been a fair bit of interest to do this eBay brushes post and as someone who trawls eBay regularly I'm more than happy to share my (good) finds! Two of the items included in this post are already in my Rose Gold Gift Guide so I won't be repeating myself here, but it's worth including in this post to see how I've gotten on with them. 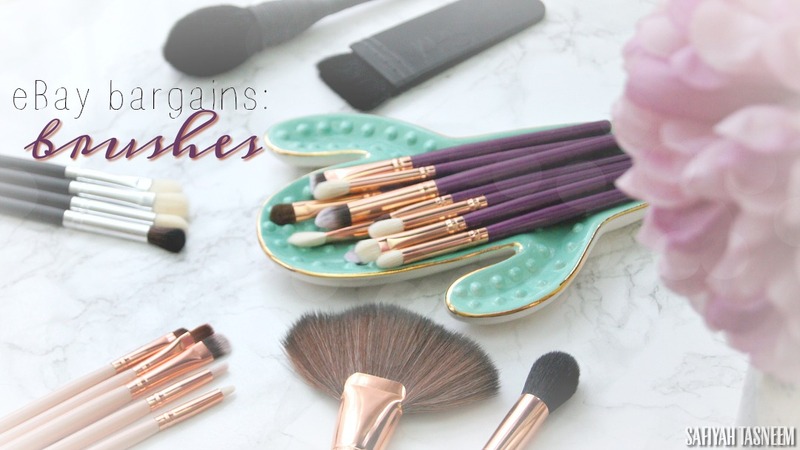 Read on to check my eBay bargain brushes! Another thing that should be noted is that some of these brushes are "dupes" of higher end brands but in no means compare in quality so I would recommend some of these only for short term use or to start off a brush collection or if you're a bit extra like me, to use carelessly with dark pigments so it doesn't hurt if it stains the brush bristles. 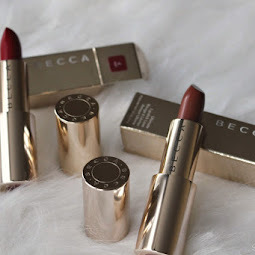 A few of these purchases have been influenced by the eBay queen herself: Fee (Makeup Savvy), so if you haven't checked her out already, her eBay finds are epic and you need to check them out! 1. 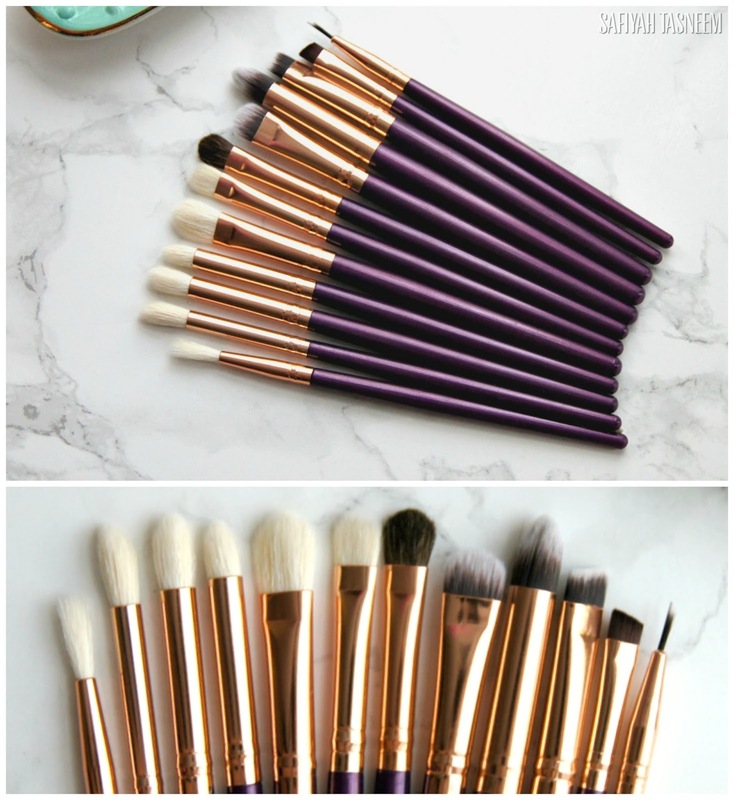 12pc Purple or White Rose Gold Zoeva Dupe Set £3.68 HERE I randomly came across this set when I was searching for natural brushes after my last Rose Gold Zoeva pink set (in this post) was synthetic and came across these ones. They are available in purple or white wooden handles but of course I chose purple; I mean purple and rose gold are my faves of anything so having them together was like they were made for me! I'm not sure what the rules are on calling an item a "dupe" but when I randomly lined up these brushes on my IG Story they matched up pretty well considering they're not listed as a Zoeva dupe. There are a fair few listings on eBay (like this one) that I haven't yet bought out for fear of being ripped off as they're around £10+ for a "Zoeva" set and the pictures seem to be taken straight off a Zoeva website rather than genuine product pictures taken by the seller. 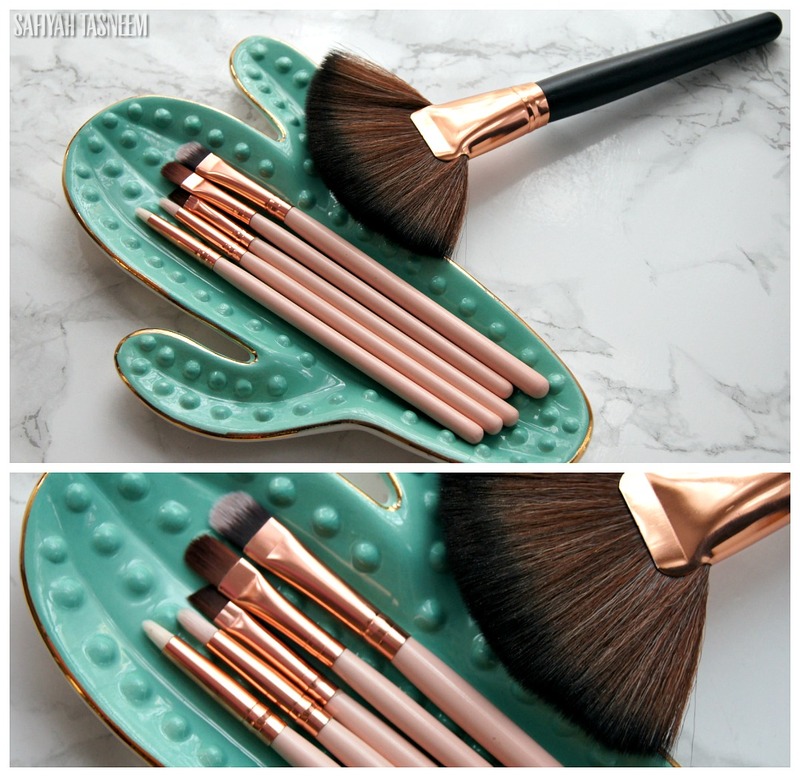 If you actually have bought one of these, please let me know if they contain natural and synthetic bristle brushes like this set! So from the picture above where this eBay set is lined up next to my Zoeva Rose Gold eye set, there are a fair few similarities and also a few differences. The handles are obviously lighter (not as heavy quality wood) and are slightly shorter but not so short that they're travel size. For instance, the synthetic concealer brush in the Zoeva set is more rounded and fluffier, whilst the eBay concealer type brush is pointier. The wing and brow slanted liner brushes are also much more thicker than the Zoeva ones so they don't even compare and will most likely be used for eyeshadows on my bottom lashline rather than my eyeliner or eyebrows. My best and most used brushes in the eBay set are the natural bristle ones, which are the 7 brushes on the left of the close-up picture. 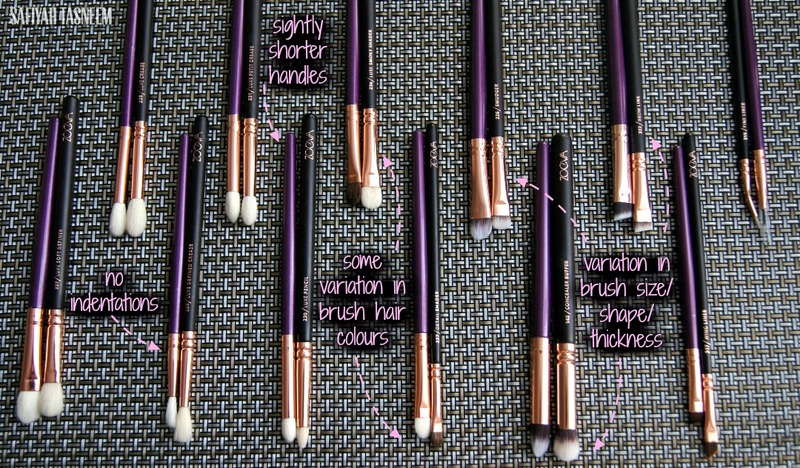 The third brush in from the left is my most favourite as it's perfect for defining the crease, followed by the end two brushes to the left of it as they are great for blending. Of course there is a bit of fall out, however I get fall out from all natural bristle brushes, which is why I used to favour my synthetic Urban Decay ones a couple years ago; synthetic brushes barely shed hairs compared to natural. One of the brushes had a wobbly metal bit as these brushes don't have indentations, so I imagine if I use this brush over vigorously, it will fall off soon and I'll have to super glue it back on or throw it away. Overall though, I genuinely can't complain about this brush set as it's under £4 and for someone like me who likes to take care of my pretty Zoeva brushes as they're so pricey in comparison, I don't feel at all bad if I use the most pigmented stain-y eyeshadow with these because I know I can just buy another set if I need to replace, whereas I would use my Zoeva ones on occasions where I need extra detailing/blending power. 2a. 12pc Pink Rose Golden Eye Brush Set £1.99 HERE These were the brushes I recommended in my Rose Gold Gift Guide last year and have been further reduced since then! These were a Makeup Savvy recommendation (read her post here) and although they look just like the Zoeva Rose Golden Volume 2 set with the pink and rose gold, they're all synthetic brushes and the brushes pictured above are the ones I find myself using the most. The two on the right end of the close up picture I use for concealing, the angled slanted brush I use to smudge out eye pencil either on the top eyelid or bottom lashline and the furthest to the left I use for inner corner highlight mostly. 2b. Large Rose Gold Fan Brush £2.51 HERE Again, another Fee recommendation (read the full post here), I thought it looked pretty damned dense so was intrigued and when it arrived I wasn't disappointed. The brush is super soft and definitely dense, the handle is solid and sturdy, but the actual brush is slightly on the big side, so for smaller faces I wouldn't recommend it, however I can just about highlight the top of my cheekbones with this and then some, so for under three quid it's pretty decent (and natural "goat hair" too apparently). 3. Rose Gold Tapered Highlight/Contour brush £2.44 HERE This brush I randomly added to my basket whilst purchasing the Purple Rose Gold set above, as the the seller offers 5% off orders over £5 and I thought this one looked promising out of the plethora of mermaidy/unicorny brushes that overwhelmed me from the selection of eligible items. The brush handle is sturdy but on the rather long side compared to most normal sized brushes; it's even taller than my Real Techniques Bold Metals highlighter (300) brush which is pretty long. It's exactly the same height as the Rose Gold Fan brush in number 2b above though. The actual brush is synthetic and is practically identical in shape and size to my Zoeva 105 Luxe Highlight brush, but the Zoeva one is a mix of synthetic and natural hairs and I'm still on the hunt for a fully natural haired tapered brush like this. Overall it applies highlight beautifully and feels like a very good quality brush that won't break any time soon and no shedding of hairs as of yet. You can use it as a contour or blush brush too, but I prefer it for highlight personally. 4. 4pc Blending Eyeshadow Set £1.36 HERE This set I've only included in this blog post to show you where eBay can mislead you; whilst trawling eBay one night, I thought two of the brushes in this set looked like almost a MAC 217 and 224 dupe, however only after I opened the packet when I received them did I realise the brush hairs were synthetic and although they are soft, they're in no way dupes of my favourite MAC brushes. I've recently come across a blogger I like (Minara - Little London Blogger) and whilst checking her blog out I saw that she seemed to have a natural bristle version of this set (eBay link to it here) and although it's £2.99, it should definitely be worth it judging by her blog post! 5. NARS Ita Kabuki Contour Brush Dupe £1.38 HERE £4.75 (new design) HERE I've included the transaction screenshot from April last year when it was priced at £1.49 each (I bought 3 for me and my cousins). The same seller I bought from doesn't sell these brushes anymore but I've linked another seller above, with similar pictures to the ones that were on the listing I bought from. As you can see from the screenshot, the picture doesn't suggest there is a NARS logo on the brush however when mine came they obviously cheekily had it on the brushes. I'm not sure if this link will have the same, but essentially it's the brush I was looking for and not the name anyway, and the brush is pretty great at applying and blending contour. Because it has natural bristles, it does shed some hairs but I'm sure I've seen big YouTubers like Desi Perkins use her NARS brushes and seen hairs fall off (unless she has an eBay dupe too??!). The hairs are soft however, and not scratchy at all. I don't have the genuine NARS Ita brush to compare to but even with my makeup artist discount on the NARS website, I can't justify spending even £30 on one brush just yet (the full price for the ITA brush is £43 😩). 5b. NARS Yachiyo Kabuki Blush Brush Dupe £2.29 HERE Again, I've uploaded a screenshot of the transaction from last year where I bought two at the price of £1.65 each (eBay prices go up and down) and again, the seller no longer sells these brushes so I've linked the cheapest brushes I could find with similar pictures. With these Yachiyo dupe brushes I received, one was delivered in perfect condition, whilst the other arrived slightly unraveled, so it's something to be wary of when purchasing these and probably safer to buy two. 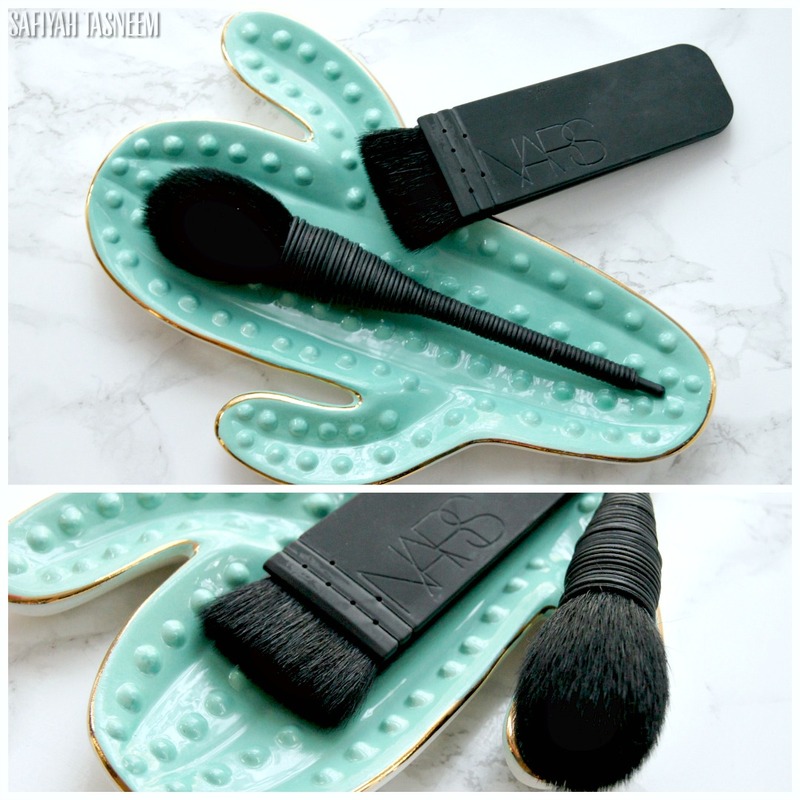 I'm guessing the genuine NARS Yachiyo brush probably doesn't unravel as its design is described as a "hand spun black wisteria handle". The actual brush itself, is slightly larger than the type of brush size I would usually go for in a blush brush but I literally use it for buffing out the Ita contour, or adding bronzer and then the slightest touch of blush to my cheeks. Again, as a natural bristle brush, it does shed some hairs, but is also pretty soft for a cheap natural bristle brush and doesn't feel scratchy, so I use it every day. 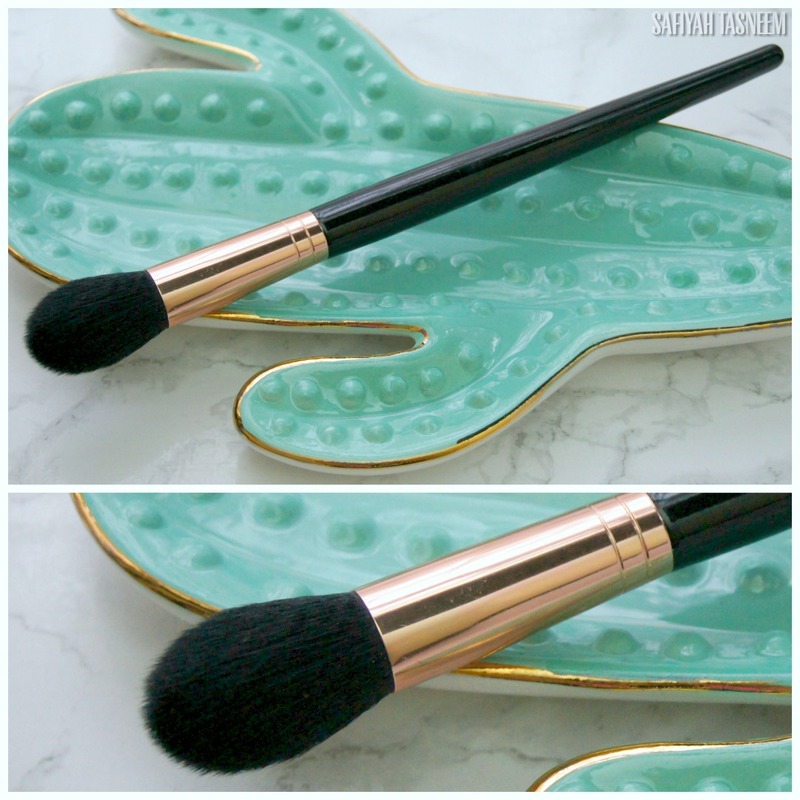 The genuine Yachiyo brush is also £43 (here)) so this dupe is literally a steal. 6. Silicone Sponge dupe 99p HERE Last but not really least, I thought I'd include this SiliSponge dupe that you may or may not have seen being plastered over Instagram where people used their bra's silicone inserts and all kinds of nonsense. 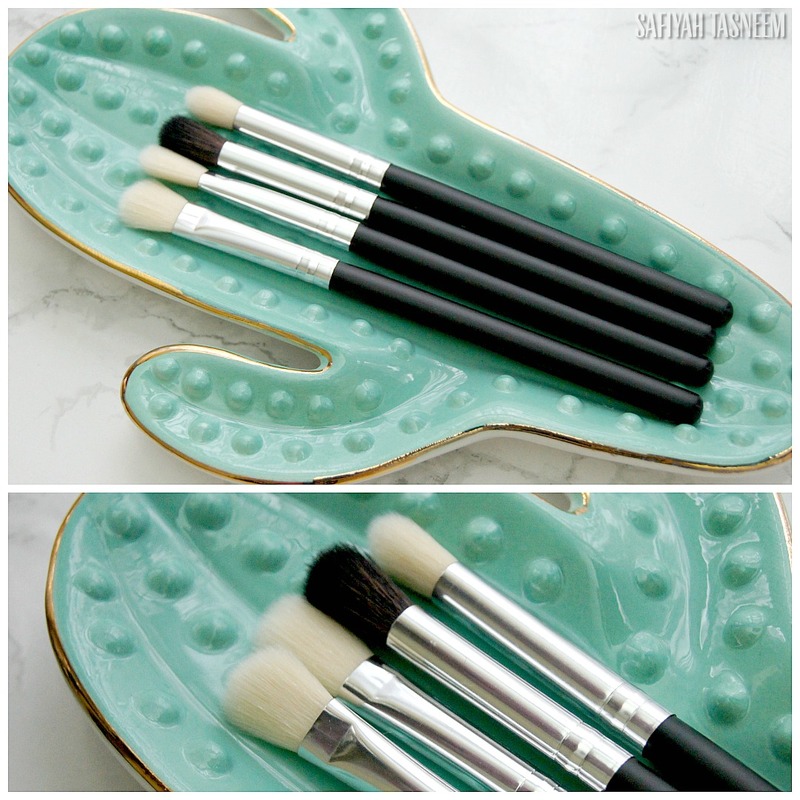 Technically it's not a brush but it's a method of applying foundation so I thought I'd include it in this post. 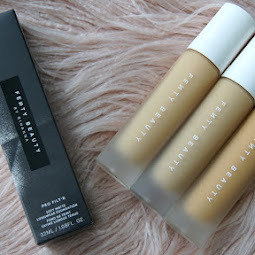 If you were wondering what it's like, I purchased this dupe and have tried it a couple times and these are my thoughts: It's definitely great for saving foundation as you can pump once and spread it all over your face without the silicone absorbing any product whatsoever. HOWEVER! Blending is a complete no-no with this as you're essentially slapping your face with silicone to even try and blend it and even then it doesn't give the same finish as a beauty blender/complexion sponge so I tend to spread the foundation with the silicone sponge and then blend it properly with a beauty blender sponge. It is however super easy to clean as you can wipe it with a wet wipe but tbh you can apply foundation with minimal waste with your fingers if you don't mind your hands getting messy and skip this silicone sponge altogether. So there you have it! There's a plethora of brushes out there on eBay and it can get pretty overwhelming so I hope my round up of eBay brush purchases is helpful for you guys. Let me know if you have any gems you've found by commenting below and leaving links if possible as I'm always on the look out! Thanks for this! What a fantastic and thorough review. I might pick up the purple and rose gold Zoeva dupes just because I think they're actually really beautiful! I'm the same as you, I have my expensive brushes but I always end up using my cheaper ones, especially for everyday use. So finds like this are so handy! Aw you're welcome Gemma, thanks for your lovely comments! Nice Colections of makeup brushes. Thanks for sharing the details. 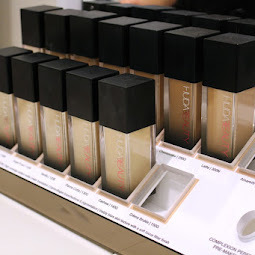 Using good makeup items are really important to make the makeup long lasting and to set everything. You can learn this tips and lesson by getting a professional lesson is also important. You can get the professional makeup lesson by makeup artist Lina Cameron. 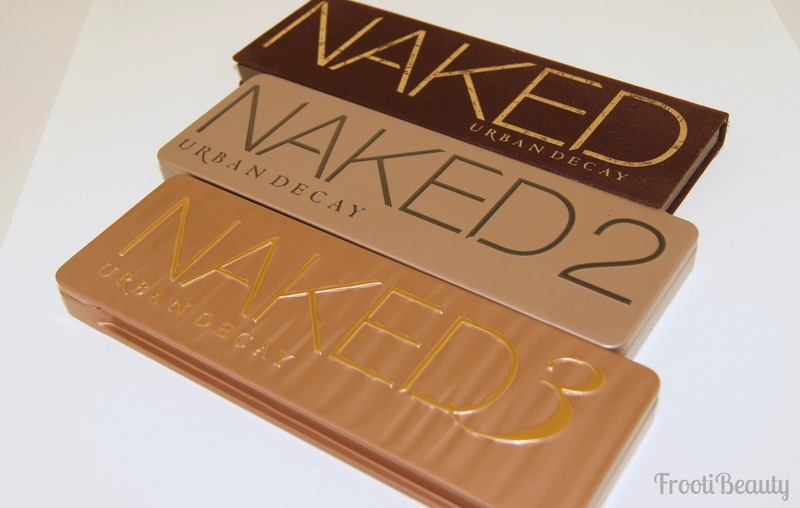 I love the too faced one, this is best in my opinion.